Ever since I made our wedding quilt, I’ve wanted to make another. The truth is though, I was a little intimidated. While my first attempt turned out well in the end, it was quite the struggle, and was by no means perfect. The thought of making a larger quilt was even more frightening. Yet, the idea still festered in the back of my mind. 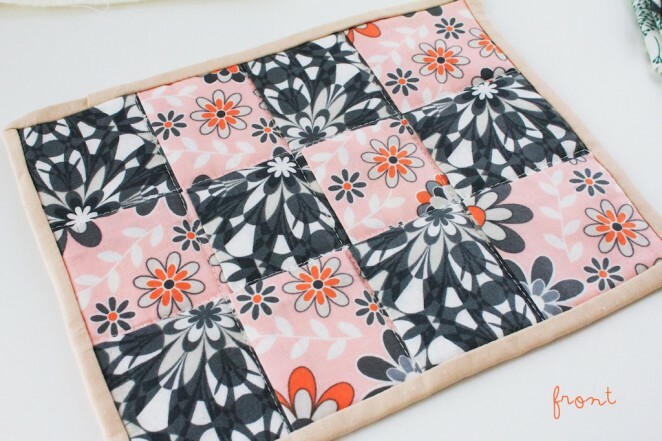 Then somewhere on the internet I saw this idea of a tiny quilt made for breakfast and I knew it was the perfect project. The toast quilt (which I guess is actually called a mug rug) is sort of like a pot holder, except rectangular. In theory you’d put your coffee on there with your toast but I really just wanted one for the toast. It drives me sort of crazy to put toast on a plate unless it’s totally flat, otherwise it slips around when you are putting your spread on. Yes, I’m extremely particular about my toast. 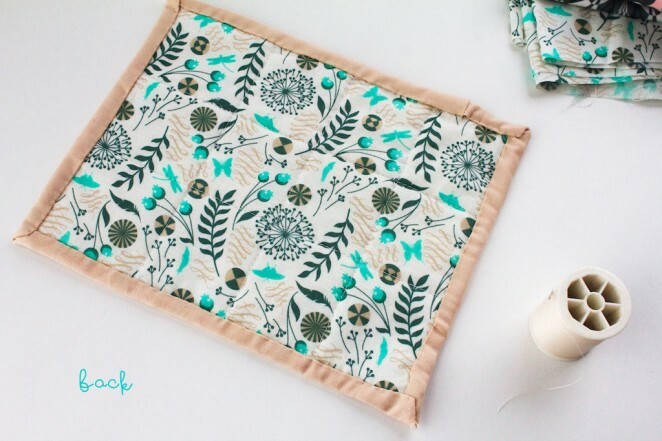 Often I’ll just use a napkin, but a quilted coaster is even better. I had a few fabric samples designed by Jenean Morrison that I scored at Alt Summit, which were perfect for this tiny project. 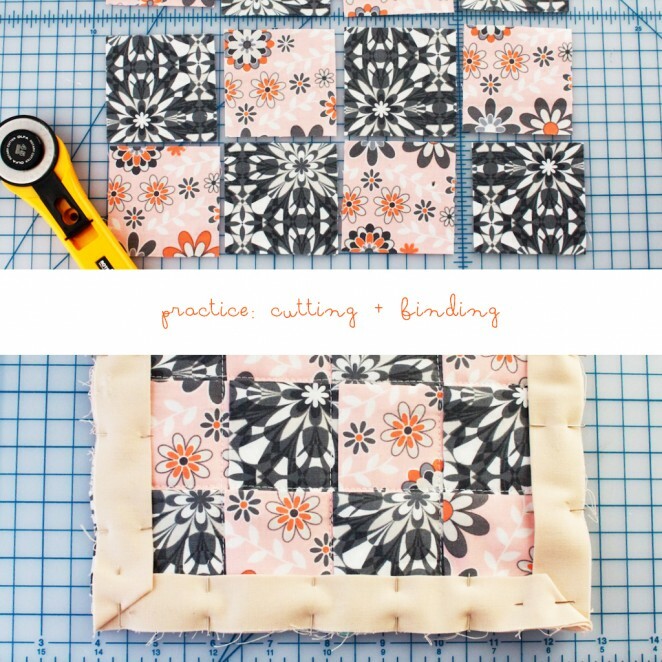 For the rest I used leftover fabric and batting from the previous quilt. I probably should have picked a more appropriate binding but the tan was already cut and ironed so I just went with it. I still need to work on cutting my squares perfectly the same size and also on my binding but I am very happy with my tiny quilt and already want to make more. The truth is it only barely scratched my quilting itch. I’ve resigned to make a full sized quilt, but I should probably do a little more practice first. Ha! That’s funny about the tendency for toast sliding around on a plate – I agree it’s annoying. 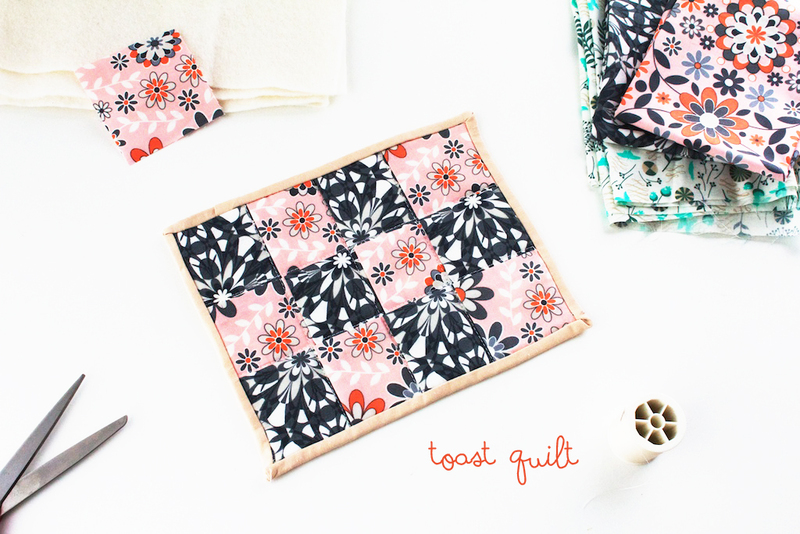 Love how your toast quilt is turning out – the fabric is super cute! These are really cute! It may be next on my list of things to make. I just finished a baby quilt with matching blocks and bibs for a friend’s baby shower and was wondering what I’d be working on next. Thanks for the idea!